Back to Shady Maple Smorgasbord again! 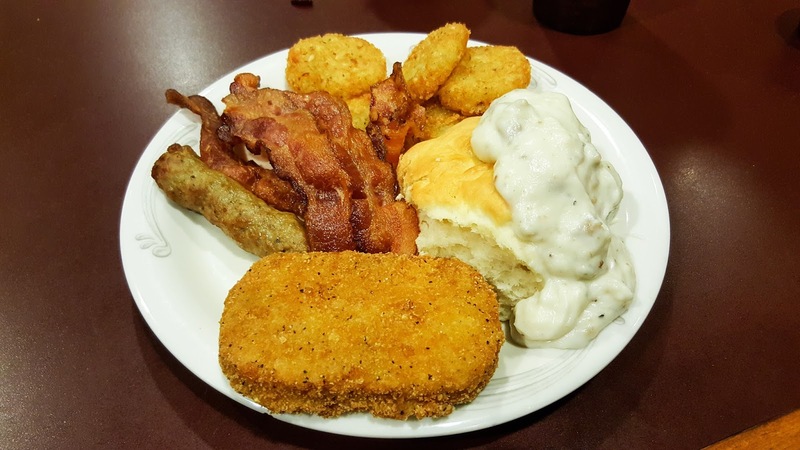 If you don't already know about this "down-home" Pennsylvania Dutch buffet, the short of it is this. 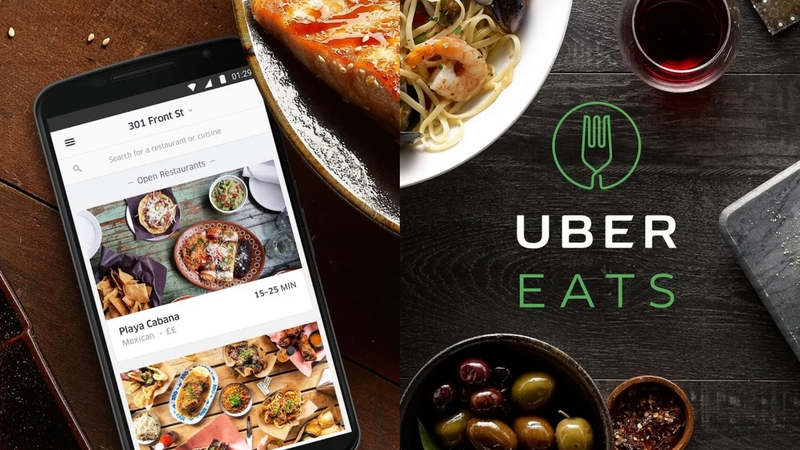 It's cheap, yet deliciously comforting. Less than $10 for breakfast, it's a steal of a deal if you can make it an hour west of Center City. 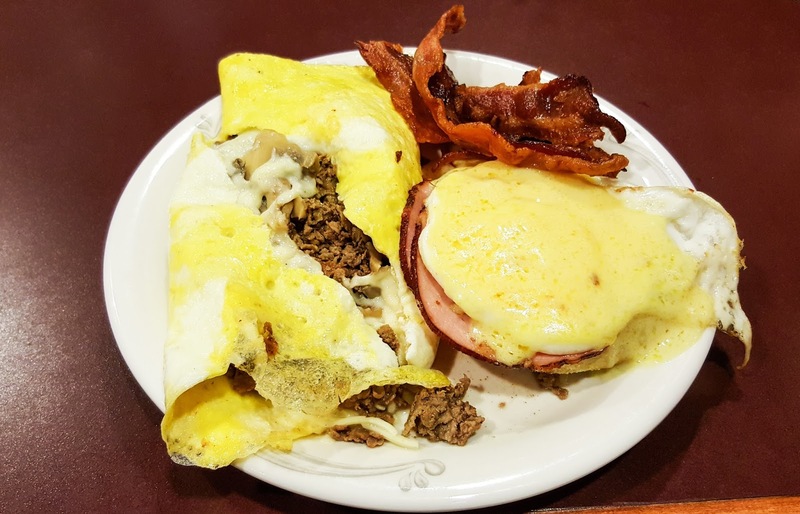 My first brunch plate featured to-order eggs benedict, a Philly cheese steak omelette, and plenty of crisp bacon. While the eggs aren't poached for the eggs benny, they came over-easy and the yolk dribbled all over the Canadian bacon and English muffin. The omelette was surprisingly excellent - nicely creamy and savory, with plenty of steak, American cheese, mushrooms, and onions. When it comes to breakfast, there's always bacon on my plate, so obviously I got more of that, along with a sausage link. A huge buttery and surprisingly sweet biscuit was also in order, topped with hearty sausage gravy. There was also a sausage-egg-and-cheese latke as well as crisp and chivey potato pancakes. I did say that bacon was on most of my breakfast plates right? 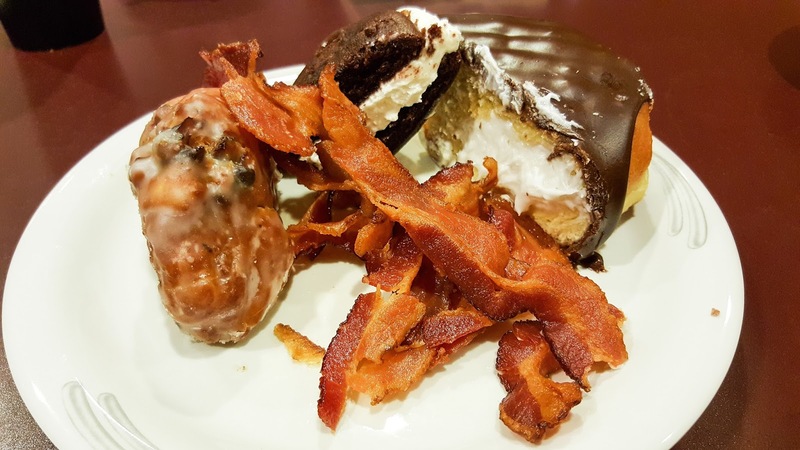 Needless to say, in my mind, the crisp and salty bacon was a wonderful pairing to the sweet blueberry fritter, cream-filled doughnuts, and light whoopie pies offered at Shady Maple Smorgasbord. So if you're in the area or are willing to travel about an hour outside of Center City, consider plopping your butts down in Amish country to enjoy a taste of home cooking Pennsylvania Dutch style.